And the first installment gift made from my No Spend Summer challenge! I pinned ribbons randomly around the edge of the square I'd cut from the jumper facing inwards with the striped fabric on top, right sides together (a little fiddly, but you get into the swing of it easily). Then I just sewed around the edge leaving a gap for turning, turned, ironed and top stitched. I'm afraid I just guess with this. Pour in enough sugar to fill your container/s, add about 10 drops of your essential oil, choose any you like! Then add enough oil (ground nut or almond is nice too) to make the consistency you like (I always test a little on my hands to be sure). Fill up the jar, adding a ribbon and label and you're done! I also made a card with the baby's new name on. Popped everything in a "baby boy" gift bag I'd saved from when Ethan was born and I was good to go! 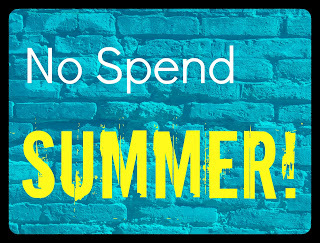 No Spend Summer success! Now I just need to make five man gifts by next weekend and I'll be on top of things! Babies just seem to love these! Plus they're perfect for tummy time when they're little and a comfort blanket as they get bigger. Glad you like it Dessa! And it is easier to sew than you think, I'm self taught (with the aid of google!) and this is just straight line sewing, which is about as much as I can do :) I'll have to do a tute so you can see how easy it is! Thanks Kathryn! I'm so excited to shop them off! Thought I'd get the last one done this week, but we've just been enjoying having Andy around so I just haven't done much "work"! That is a fantastic gift.